Female, Nigerian and haunted by Biafra – Is this seat taken? But the similarity with Adichie goes beyond style, or themes, or merely penning recollections of a stillborn nation. It is most apparent in their preoccupation with ‘home’. Like the exiled Okonkwo hankering after Umofia in Things Fall Apart – the one book that most inspired Chinelo as a child – the national character and problems of Nigeria are never very far from the tips of these authors’ pens despite the fact that both have spent a significant portion of their lives beyond its shores. Chinelo, who was born in Port Harcourt, admits to never feeling a sense of belonging in America, the country to which her family moved when she was aged ten, despite having lived there for the last two decades. This yearning for home is evident in her writing: “In my stories you’ll always be led back to Nigeria”. Particularly Port Harcourt, the city of her, perhaps romanticised, childhood memories. Again like Okonkwo’s Umuofia, overtaken by the albino men and their iron horses, Port Harcourt had transformed in Chinelo’s eyes, it’s population seeming to have increased exponentially. “The place I remember isn’t what’s there now. Memory has a way of idealising things.” And although she maintains a stoic upbeatness – “It is beautiful in a different way.” – her writing belies the claim that this long awaited homecoming was one of fulfilled expectations. For this school teacher and writer with an MFA in Fiction, examining emotional truth – “not how we’ve been sabotaged, but how we sabotage ourselves” – is the most important consideration in writing. During our interview, she tells truths of her own: being a mother is her greatest ambition; despite being a writer, she isn’t herself an avid reader; she has a lot of anxiety where public life and public speaking are concerned, and this is the worst thing about being a writer for her; she will always pursue writing in conjunction with teaching because she fears the stereotype of the “starving artist”; she struggles to dredge up a single happy memory of her childhood. And she goes on to describe herself as a solitary homebody whose only extravagance is a daily ice cream treat, and a Macbook that reads back her work in its “little robotic voice”. 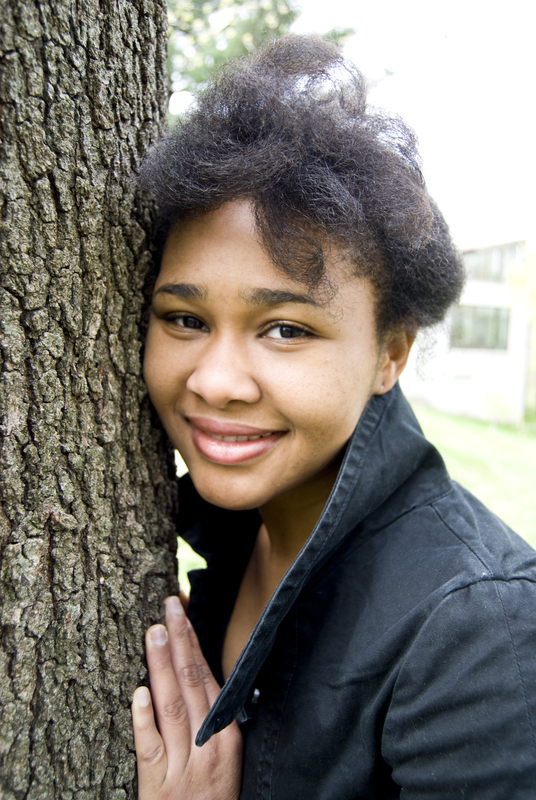 Chinelo attributes her start in writing to growing up in Boston as an introverted child: “I was always shy growing up; I had difficulty expressing myself, it might have come naturally that I could express things in writing.” Her future in writing was effectively charted when, as a child, she won a prize for an essay on abuse. “It seemed I could write so i continued that way,” she says. She, however, moved on to write fiction because it afforded her the opportunity to shrug off her own somewhat shuttered background and acquire other adventures. 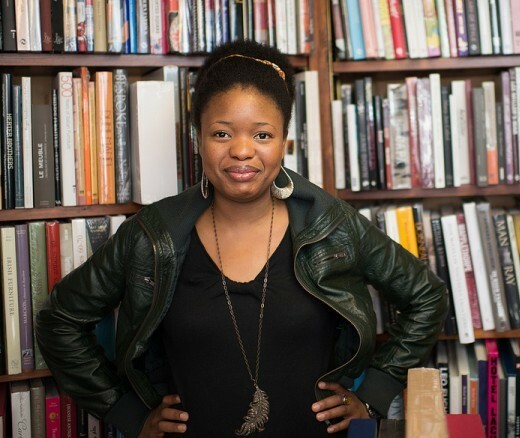 Responding to the charge by some critics that modern African writers do not do justice to the continent by portraying Africa as being decades behind what it really is, Chinelo asserts that “Writing will do what writing will. The portrayal of Africa is not something I think authors need to be preoccupied with. It doesn’t mean that just because it doesn’t appear in writing, Africa is not modern.” To Chinelo, the greater crimes that authors commit are a lack of emotional truth and overly-decorative language. I doubt that she need fear as since first getting published, a critic has praised her thus: “a perfect crafter of sentences. I could read her grocery list and still be satisfied”.In addition, Chinelo is mentored by none other than the Pulitzer Prize-winning author, Marilynne Robinson, though she still manages to exhibit the humility of an ingenue who has somehow crashed a writers’ membership club. With a two-book deal made with none other than international publisher, Granta Books, I have the feeling that Chinelo Okparanta is poised to take her place in the pantheon of Nigerian writers who’ve made their mark abroad – as well as at home. 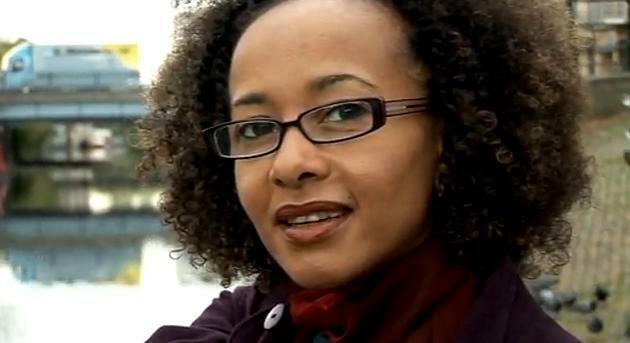 Diana Evans is of Nigerian-British descent; born in London, she spent some of her childhood in Lagos. She started out as a dancer in a Brighton dance troupe before embarking on a writing career. She has since written for publications like Marie Claire, The Independent, and the Guardian. 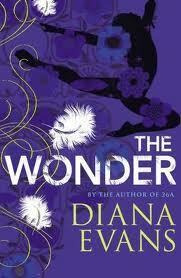 Her debut novel, 26a, received a Betty Trask award, her second book, The Wonder, was published in 2009. Both of her novels derive quite a bit from her own background. She tells us here about wrestling the wild beast of plot, reincarnating Amy Winehouse and the moment that keeps recurring in her writing. Georgia Hunter from 26a. We understand each other. A story about a man being pulled into the world beneath the Thames carrying a suitcase. There was a picture to match. Where, when or with whom have you been most impressed to see a copy of your work? In a bookshop in Manhattan. Books can only be written by the authors that wrote them, otherwise they just wouldn’t exist. There are many books I love, Revolutionary Road by Richard Yates, The Emperor’s Children by Claire Messud, The God of Small Things by Arundhati Roy – I could go on. Dickens mainly but King Lear has a special place in my heart. A life coach I recently stumbled across at a party told me I should aim for a Nobel Prize, but there’s something unhealthy and misdirected about wishing for awards. They’re incidental to the work. So I guess a million. The latter. I want to be writing books, decent ones . You live freely and creatively. You get to exercise an enormous godly power while sitting at a desk. You are your own worst enemy, and it is isolating. I remember the bad ones even more vaguely than the good. Just because you’ve written a book it doesn’t mean you know how to write a book. Besides good writing what other skill do you think is essential to a successful career in writing? Absolute dogged determination and the ability to focus through anything. Rate yourself on a scale of one to five for spelling and punctuation. What do you think your writing owes your readers? Readers complete the writing by reading it. The imaginative world you have offered they colour with their own subjective and beautiful palettes. What word or phrase, if any, do you overuse in your writing? What would your 20 year old self say if he were to meet the writer you’ve become? Don’t forget what you’re about. What one person was most supportive of your writing ambition? My partner, and still is. What’s the most memorable casual reader feedback you’ve received on your writing? A woman at a reading began to cry when we spoke afterwards because 26a had reminded her so much of her sister who suffered from depression. Sometimes I read about celebrities on Yahoo! That’s about it. Pulling everything together into a coherent structure and plot. That is the hardest thing. It feels like wrestling with a wild beast. Playing with language. Finding new, unusual, shiny ways of saying things. Overwriting. I used to do it a lot but less now. When you’re starting out you think it’s not ok to be plain and simple but it is. How do you motivate yourself after a manuscript rejection? This has not yet happened. I imagine I would listen to lots of music and do lots of yoga and swimming and running and go back to my desk. Tell us your literary process – from conception to first draft. It’s slightly chaotic. I do character work, writing out the character’s life-changing moments, having them talk to me, interviewing them. I map out the main events in the story horizontally across a page and write them as scenes as best I can. At some point, hopefully, there is a kind of BANG, when I can finally see the whole thing. I revise and rewrite in accordance with the bang. Then I leave it for a while. Literary talent: how much of it is talent and how much is painstaking determination? I would say forty percent of it is talent and the rest is effort. Talent without a good work ethic is useless. Do you think Africa is being unfairly depicted by contemporary African writers? And is this portrayal something that should preoccupy writers? It is too much of a burden on a writer to say that they should represent a continent in any which way. Writers should write what they observe and experience, what they feel, regardless. What one book would you advise everyone to read before they die? Just one? Probably Anna Karenina. And Heaven’s Coast by Mark Doty. Amy Winehouse making a third album but in good health. A new novel, then another, and then I think a hiatus. Besides being one of only three people to win the Pulitzer Prize for fiction more than once, John Updike is also famous for the rules of literary criticism that he published in 1975. 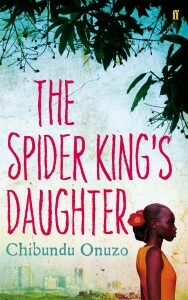 And it is with his wise counsel in mind that I attempt the review, below, of Chibundu Onuzo’s The Spider King’s Daughter. I first chanced upon this book, in the hands of a teenage boy on an underground train; he appeared to be reading it with much enjoyment. As the writer began writing it when she was only 17, I had concluded that this was a novel for young adults. My conclusion was backed by further evidence such as the bold red title font and the colourfully illustrated cover. But nothing on the book info page on the website of its publisher, Faber and Faber, or on Amazon distinguished it as such. I therefore did not approach it as young adult fiction, and quite expected – at my grand old age – to enjoy it as much as the boy furiously turning pages beside me on the train. This quote pretty much set the scene for the surprise readers get when they realise that the trusting adolescent described above, Abike Johnson, is an anti-hero of sorts, rather than the stereotypical, cosseted rich girl. And that perhaps the “honest hawker” might be the one who has yet to outgrow his belief in unicorns. This book is the combined diary of two young people, set tidily apart with different fonts. Although Chibundu recounts the same experiences from both viewpoints, she introduces enough discrepancies in their perception and narration of shared events that rarely does it seem that one is being told the same thing twice. Quite the opposite in fact, she uses their disconnected understanding as a tool to progress the plot. Lists in literature are my new thing, especially since reading the opening of Julian Barnes’ Booker Prize winning novel, The Sense of An Ending. Chibundu deploys it in The Spider King’s… almost as capably as Barnes: Every morning I wake up and I know exactly what to do. 1) Bathe, 2) Make Sure Joke does the same, 3) Eat Breakfast, 4) Make sure Joke does the same, 5) Ditto my mother, 6) Take Joke to school, 7) Leave school for work, 8) Make sure Joke never does the same. The individuality of her expressions and the deft deployment of metaphors are thrilling as well. See this: “We had come to Yaba market the home of cheap wooden stalls bowed under the weight of the average Nigerian’s need to look Western for as Eastern a price as possible”, and this: “I offered the pack by reflex… My father taught us to always act like waiters, or hosts, as he preferred to say. He was an effacing man, always scanning the room to look for someone to serve. ‘Offer your seat, offer your drink, offer your mints.’”. Chibundu works words with the dexterity of a more experienced author. Writers, they say, acquire style as they mature, but reading Chibundu gives me the sense that it is also possible to just have it waiting to be poured into a debut effort. The thought of the kind of genius this writer might have to offer in a few years – if indeed writers do grow into their styles – fills me with excitement. So what’s the story of The Spider King’s Daughter? It’s a bit of that old story of how rich girl meets poor boy, only like most, it is infused with its own brand of manipulation, scores that need settling, and reasons why poor boy will never be good enough for rich girl. Sadly, it is in plot and characterisation that Chibundu exhibits the deficiency that marks her as a greenhorn, creating a story that torpedoes just when it should be building up. If I were Chibundu’s editor, I’d lose most of the last hundred pages or so – right from where Runner G reads his father’s letter; and I’d throw Mr T into that heap of discards, too, he really is too confused and confusing to be a credible character: we never find out if his daughter died aged two or six, which insurance company he worked for, if any, nor can we make any sense of his fantastic recollections of an encounter with a prophet. Chibundu does a wonderful job of developing the complexity of her characters until she abruptly does an about face and begins to expend a lot of effort to destroy all that she has achieved up to this point. Runner G has developed a sense of pride in his situation, and begun to lose the defensiveness that had hitherto shadowed it. Abike finally sees how the less fortunate half lives, and begins to form an empathy for not just Runner G and his family, but other people – indifference is turning to interest and then progressing towards understanding. We are bating our breath for the massive confrontation of old ideals with this newly achieved maturity when Chibundu, perhaps not perceptive enough of this growth she’s spun, dashes our expectations in one ill-executed denouement. Unexplained accusations – Abike is accused of turning her father against her half siblings and even her own mother, “You cannot blame her mother, she’s as much a victim as the rest of us”. But we are never told how Abike finagles her way into her father’s good graces and manages to oust everyone else. We need to see how this slip of a girl achieves, at seventeen, this most conniving of feats, and a few rounds of ‘frustration’, and smart-mouthing don’t show it sufficiently. Plausibility – There was no emotional truth in two responsible adults being complicit in the plans of a teenager to carry out a murder, and that belated withdrawal of Aunty Precious comes a little too late to stem the damage. Coincidences – Chibundu should steer away from the coincidences that are often a direct result of wondering whether readers will get it if you don’t smack them on the head with it. How come every one who has ever met Mr Johnson describes him by his birthmark? And why are there so many people connected to him? Somewhere into the first few accounts of him, readers already know what to make of his character. Besides the matter of a plot that was allowed to go bad, my other grouse is with the apparent “Nigerianisms” in Chibundu’s writing; expressions like “they reached the gate” make it appear that Chibundu is not elevating her vocabulary to cater to global readers. As for dialogue, it needs be said that every character gets a paragraph no matter how little they say, to allow for clarity.